It is not an assumption, but it is clearly in the text. 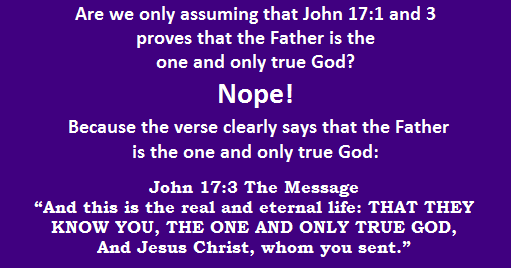 The Bible clearly states that THE FATHER IS THE ONE AND ONLY TRUE GOD. 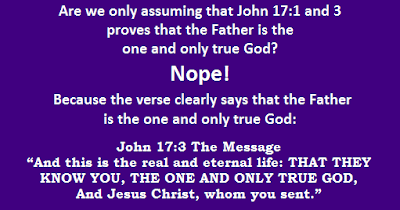 The trinitarians are those who are really assuming because nowhere in the Bible we can read the word "trinity" or that "there are three persons in one God." THEREFORE, IT IS "TRINITARIANISM" WHICH IS REALLY JUST AN ASSUMPTION.